With just over 2 weeks left until Christmas you really should be thinking of getting your presents sorted. If you’re buying for someone who is into technology or computing then we’ve got you covered with some of our favourites. One of our favourite tech toys last year makes this year’s list. Anki Overdrive brings videogame racing to life with robotic cars and physical tracks. It’s Scalextric but updated with all the latest technology. A huge variety of tracks can be created in seconds. More complex tracks can be made as you add extra packs to your starter kit. Watching the cars race around tracks you have created is mesmerising. Best of all is that you can use your smart phone or tablet to control the speed, track position and weapons to do battle with the AI cars and other players. Check out our Anki Overdrive review to see what we thought of it in action. Also new for this year is the addition of Supertrucks which really help mix things up and breathe new life into the racing modes. Check out our Anki Overdrive Supertrucks review to see what we thought of the expansion. £149.99 for the Starter Kit, £49.99 each for extra cars. £59.99 each for Supertrucks. Expansion packs cost £19.99 – £29.99. CHiP is an AI Robotic Dog. Packed with all kinds of sensors, CHiP listens for your voice commands and can even recognise you. He likes to have fun and will play fetch with the included SmartBall. He can also do Yoga and when tired will go to his SmartBed to recharge. The included SmartBand is a rechargeable wearable controller that lets you issue commands to CHiP. Chromecast is a media streaming device that plugs into the HDMI port on your TV. It let’s you cast your favourite TV shows, movies, music, sport, games and more from your phone, tablet or laptop. Chromecast works with iPhone, iPad, Android phone and tablet, Mac and Windows laptop, and Chromebook. It also features services such as YouTube, Netflix, NowTV, Twitch, BBC iPlayer and more. 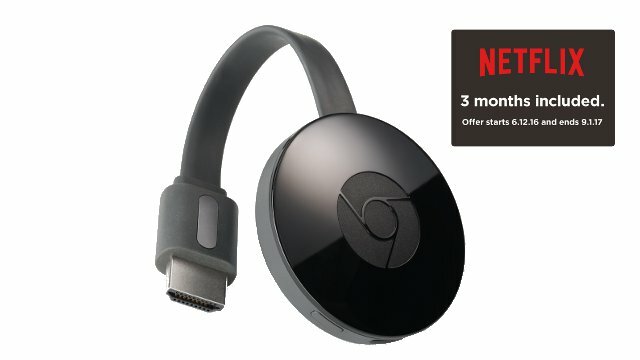 If you buy a Chromecast between 6th December 2016 and 9th January 2017 you will also receive 3 months of free Netflix. £30 at Currys, Argos, John Lewis, Tesco and Maplin. COJI is a coding robot pal that combines STEM (Science, Technology, Engineering and Math) to teach kids basic programming skills while having fun. Rather than having to learn complex syntax it uses a visual language of Emojis. COJI responds to physical stimulation and features an LCD screen, dynamic sounds and thousands of animations. There’s also a companion app for phones and tablets. Electric Jukebox offers all the benefits of premium music streaming in a box without the need for a smartphone, a PC, or monthly subscription. 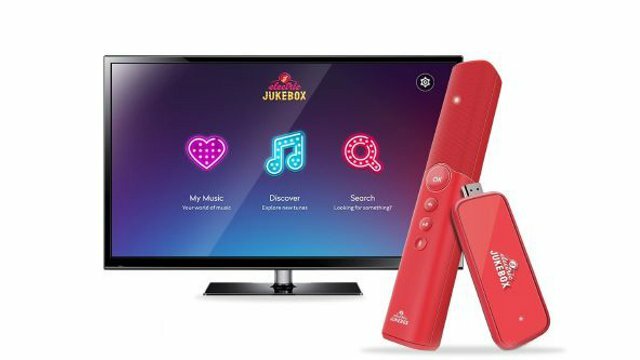 Simply plug Electric Jukebox into your TV, connect to Wi-Fi and instantly play millions of songs, hundreds of curated music channels, charts, and exclusive celebrity mixtapes. £169 (includes a free 1-year Premium Music Pass). Further 1-year Premium Music Passes are available for £52. The GEM Box is an Android powered Microconsole aimed at families and casual players with its focus on gaming and multimedia. 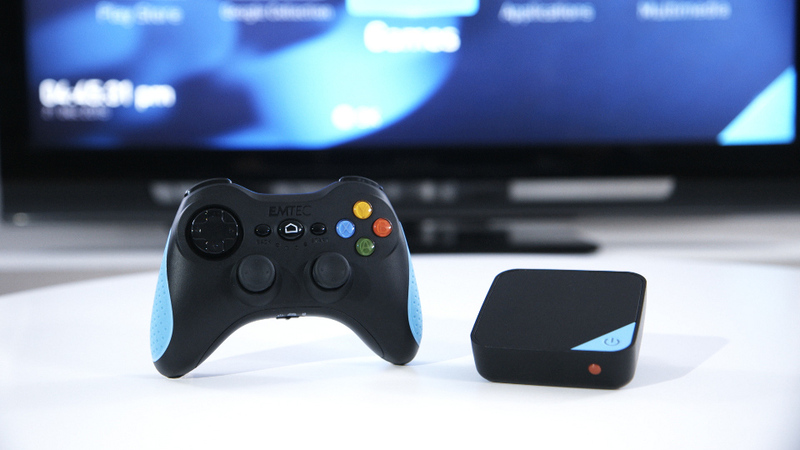 Tiny in size it plugs into your TV via HDMI and is packed full of features. It’s great for casual games but also capable of streaming titles from your PC or via the optional GameFly subscription. If gaming isn’t your thing it’s also a very powerful multimedia device, perfect for watching TV and movies or viewing photos. Check out our GEM Box review to see what we thought of the device. GEM Box Starter Pack £99.90, GEM Box Wireless Controller £29.90, GEM Box Remote Control £29.90. Galaxy ZEGA is a real world mobile tank battle game and one of the most impressive tech toys we’ve seen this year (Look out for our full review coming soon). The Starter Kit comes with two robot battle tanks (Leo & Gondar) and all the pieces needed to quickly build your own battlefield arena. Players take control of their tanks by pairing them with the free Galaxy ZEGA app on a compatible iOS or Android device. Controlling the tanks is easy and there are multiple game modes to try. The tanks are easy and fun to control and also not limited to the arenas as you can drive them on most surfaces. A 90 minute charge gives around 2.5 hours of play. The optional X-Base expansions bring a lot to the fun by adding dynamic power-ups or capture points. LUMI is a quadcopter that can play itself while you play, direct and command it using the companion app. Using your smart device you can choose motions, manoeuvres, stunts or direct control. There are different game modes on offer to challenge you including one where you need to react to flashing lights and music while LUMI reacts and dances in the air. A really neat feature is the ability to choreograph flight moves. The Raspberry Pi is a credit-card-sized computer that plugs into a TV/Monitor and a keyboard. It is a capable little computer which can be used in electronics projects, and for many of the things that a desktop PC does, like spreadsheets, word processing, browsing the internet and playing games. With a little imagination the possibilities are endless. A great gift for anyone interested in technology, computing or engineering. Check out Pimoroni for a range of devices, starter kits and add-on boards. 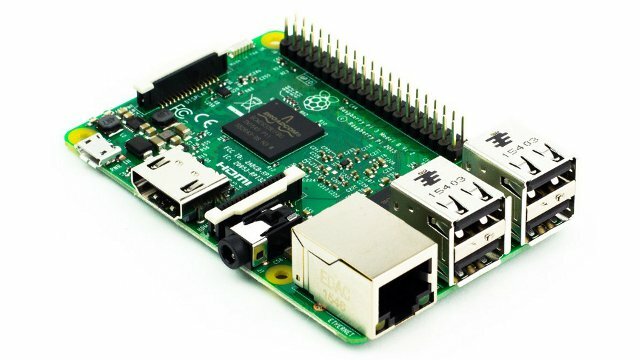 Raspberry Pi prices range from £4-£32. 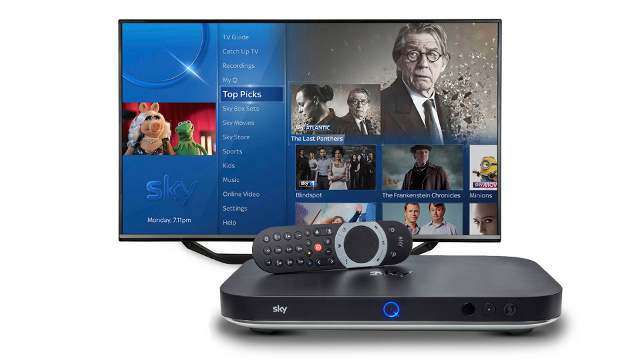 Sky Q is Sky’s next-generation TV platform, bringing Sky TV to multiple rooms, screens and devices for a “fluid viewing” experience – complete with 4K Ultra HD content. If your family watch a lot of TV then a new Sky Q subscription might be an ideal choice for Christmas. It’s the best TV viewing experience around as you can start watching in one room then continue in another. You can even transfer what you’re watching to a compatible smart device to watch on the go. Prices start around £42 a month for the basic package. The new Sony Xperia XZ handset has a 5.2 Full HD 1080p, TRILUMINOS display, X-Reality for mobile picture engine, Dynamic Contrast Enhancement, is water-resistant and also delivers an enhanced 23MP camera experience with triple image sensing technology and 4k video. A really cool feature for gamers is that it supports PS4 Remote Play to let you play your PS4 games from anywhere in your home. Like a Jedi Knight, you can control the BB-8 App-Enabled Droid with just a wave of your hand thanks to the included Force Band and expand your abilities with Force Training. Use the band by itself to complete Combat Training for Blasters, Lightsabers, and the Force itself, or collect digital holocrons in your environment through Force Awareness. 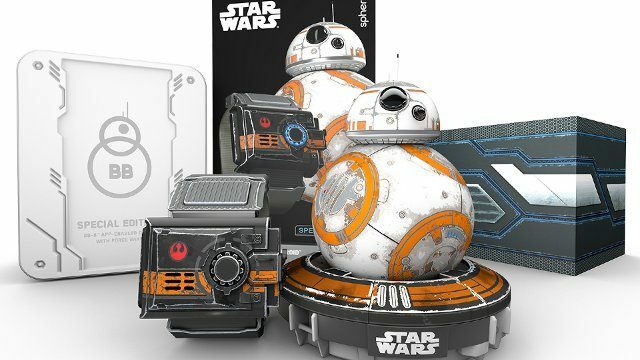 Watch your Droid explore autonomously, guide BB-8 yourself, or create and view holographic recordings. Designed to inspire curiosity, creativity, and invention through connected play and coding, SPRK+ is far more than just a robot. Powered by the Lightning Lab app, you can easily learn programming, complete hands-on activities, and share your creations with the community. Navigate a maze. Program a painting. Mimic the solar system. Swim across the water. Have a dance party… The only limit is your imagination. SPRK+ will foster a love of robotics, coding, and STEM principles… all through play. 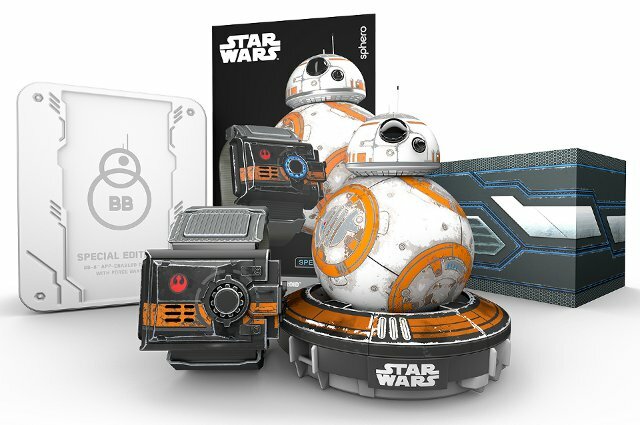 The Star Wars VR Viewer by Wow! Stuff lets users explore virtual reality worlds in 3D with a full 360-degree view, watch films and videos or play games. Compatible with almost any smartphone, it gives users access to thousands of apps in the Google Play Store and the Apple App Store, putting thousands of immersive 3D worlds right at your fingertips, all within seconds. Virtual Reality is tipped to be the next big thing but it’s currently very expensive for the high end Oculus Rift and HTC Vive. 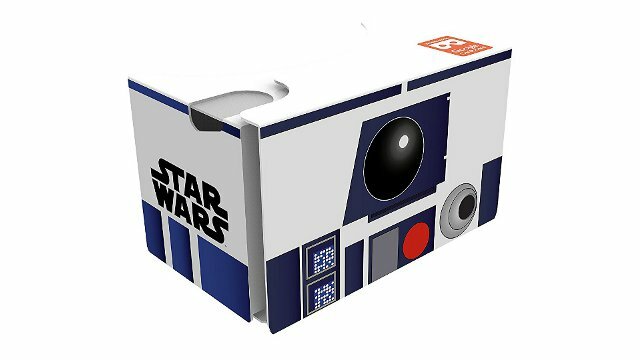 The Star Wars VR Viewers give a great taste of VR and are Google Cardboard compatible. Let us know in the comments your suggestions for Tech Toys this Christmas. You can also check out our other Christmas Gift Guides for other ideas.